Upgraded i5 4460 to i5 4690K. Overclocked to 4.0 GHz (4.2 GHz - 2 cores). This is not the limit, just turning up multiplier. Seems stable. Turned CPU cooler fan-side down to pull air from GPU area. 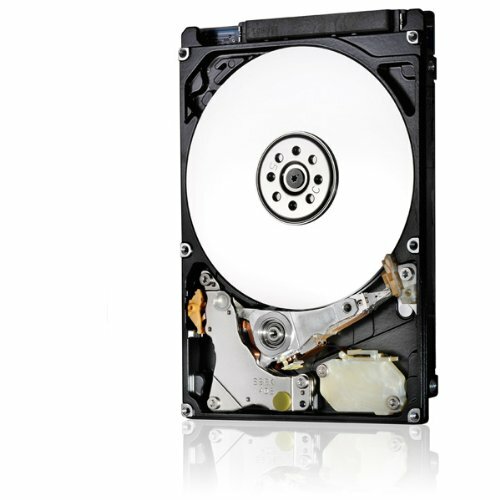 Added 1TB HGST Travelstar 2.5" HDD mounted behind motherboard tray. Added 3x Corsair AF120 White LED fans and hooked them and included 200mm intake fan to Phanteks PWM hub on SYS_FAN1. Mounted behind the motherboard tray. Linked the system fans to the temperature of the GPU using SpeedFan: Cooling while gaming, silence while browsing. The white LEDs are a nice touch with all components being black (except cooler) and I like how they get brighter as they ramp up with the GPU temperature. Power Supply is a little noisy but I otherwise recommend it. Last build had XFX 550W and I never heard a thing. Very happy with the motherboard, BIOS options, and the Bluetooth and WiFi AC performance. Case is intake restricted but I just pop the bottom of the front cover out at the bottom only and temps improve on warm days. Removed HDD trays in basement. Games like a beast. Huge improvement over FX-8350/GTX660 build and all in a smaller case. Both chips overclock quite well. Cooling is an issue on hot days, but it's winter here 9 months of the year. Thanks for looking. This is my second one and for the price keeps CPU at reasonable temps. Quiet. Easy to install. Great features and boots very quickly. Integrated AC wireless is awesome. The all black color scheme is really cool too. 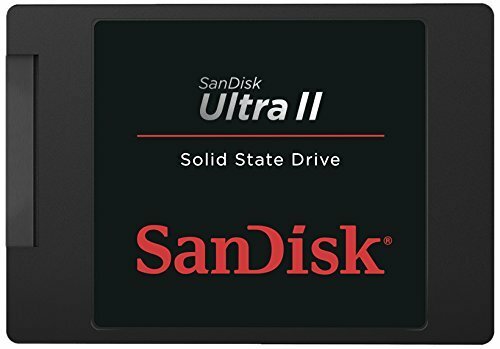 A very fast drive and an excellent price. Wish I would have got the 480GB now, filled it in 3 days. 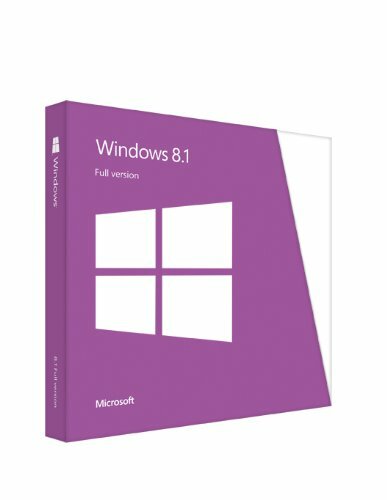 9 second boot. 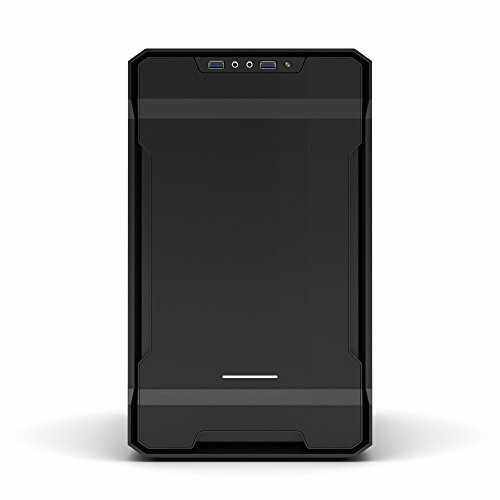 Nice looking case with a good 200mm fan included. Cleans up very nicely. Graphics card runs very hot even with a full complement of case fans for unknown reason. 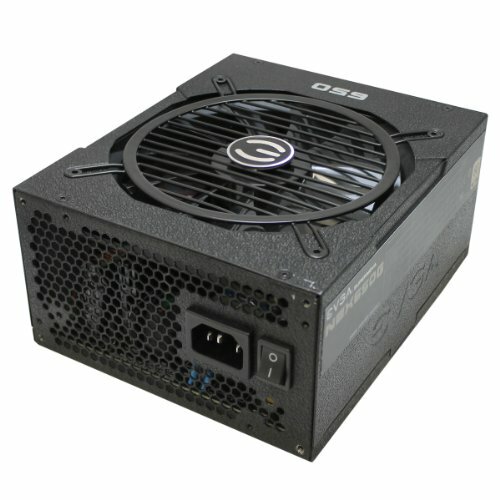 Drive cage must be removed when using regular size power supply. Edit: I do not recommend this case for air cooling. While load testing, pulling front of case off yields about 5C drop on CPU and GPU. Needs less restrictive intake to be competitive. Looks awesome Plenty of cables of varying length, which also look awesome. Noisy. Rushing air combined with slight flicking sound. But does the GPU really get 85C under load? That's a bit weird for an aftermarket cooler, even in a compact case like this. I'd guess those extra AF120 fans would alleviate the issue a bit, or not? The GPU overheats no matter what the Thermal Limit is set at. The case fans are a necessity. I run the intake fan at 100% full time from the PSU. What I've figured out is the case has intake issues (suffocation) and if you pull the cover off the front, temps drop drastically and no more GPU throttling. Many games, if you limit FPS to 70 or so, don't push it very hard at 1080p so I'm overall happy with the build but I do not recommend the case. If you were going 100% water, though, it may be alright. Well... considering the intakes are very cramped (and so are the exhausts on top from what I've seen), the issue with your build might be extreme negative air pressure. Some reviewers said the 200mm intake fan is weak for sucking air in. So you've got very little fresh air coming in, and the GPU has very little air to dissipate heat into. You could try turning the rear fan around to make it an intake instead. Otherwise maybe replacing the 200m intake fan with 2x140mm static pressure fans would help. I had no other case fans when I built it and the overheating problem was very bad. It is somewhat better with extra case fans installed. Opening front is still best option on warm days. If you try the 2x140 configuration, let me know how it works out. Sure thing. 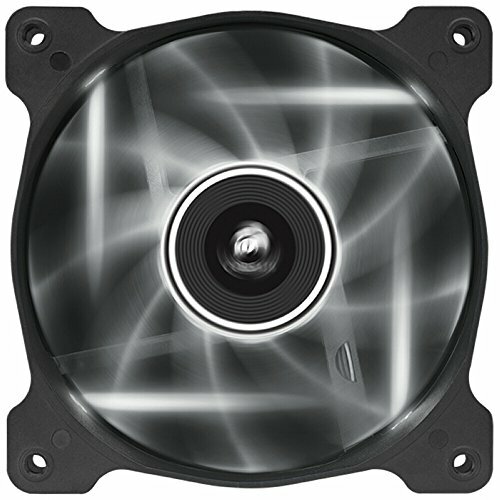 I've ordered 5 Phanteks PH-F140SP fans. I think I'll be getting all of the components within 1-3 weeks. I'll test with both just the stock 200mm fan, and all 5 140's and see what difference it makes. Alright, it's taken a while.. had some delays getting hold of a CPU and getting a 4690K would take too damn long. I happened to find a 4790K on sale that was only silghtly higher priced than the 4690K I had ordered, so I went with that instead. But now it's up and running. I'm using those 5x 140mm fans, with the front and rear as intakes, top as exhaust. The Hyper 212 EVO is mounted horizontally (with the fan pushing air upwards), it was a close fit over the graphics card (I had to take it out to get the CPU fan on there) but it works. There's only one issue (not really related) which is that I can't control my case fans' speed because of the NZXT Grid, so they're at full speed. A bit loud, but bearable enough. Thermal performance is good though. Right now I'm at a friends' LAN party and it's hot in this room (at least 25C) with crappy ventilation. Running GTA 5 (which as you might know is really CPU intensive as well) brings the CPU and GPU at about 60-73C, mostly hovering around the high 60's. I'm gonna try later to turn around the rear fan to see what difference it might make. I turned my CPU fan to exhaust upward and it seems to have made a difference. I am also going to get a quintet of 140mm fans. These are great upgrades you found here, mate. I'm currently at 83C load GPU and 58C load with CPU, I will post here when I get the fans and see what type of gains I make. As an aside, you should do whatever you can to get a Phanteks fan hub. Control your 5 fans based on GPU speed. Ballin. It's been a while, thought I'd throw in an update. Since last time I've turned the CPU cooler to blow air towards the rear exhaust of the case (that fan there was originally an intake, turned that around aswell). CPU temps are a lot better now. They used to be like 83-92C under full load (folding@home at 100% both on the CPU and GPU). Now it's down to 74-85C, hovering around the low 80's after several hours of folding in a 20C ambient temp. But gaming temperatures are a lot lower. The CPU is only 60-74C then, with a lot less fan noise too. Speaking of that, I ditched the regular NZXT Grid and got a Grid+ V2, so now I have an fan curve that automatically adjusts the speed of the case fans, tied to the CPU temp. But as the CPU temps are still a bit high for my taste, I'm considering getting a 240mm all in one watercooler. I originally didn't intend this at all, but this being a 4790K reaching over 80C at stock speeds makes it like a caged animal. I'm sure I could easily OC it to 4.6 or higher with decent cooling, and right now it's only doing 4160-4200mhz when all cores are fully used. I guess my conclusion after using this case for a while is kinda similar. Air cooling is okay as long as it's a lower/mid end CPU, and if the GPU has a big cooler like the G1 I have (never gets above 75C while gaming and OC'ed, often stays below 70). One more quick question. How's the clearance between the CPU cooler's heatsink and the graphics card? I'll use the same motherboard and cooler, but my graphics card will have a backplate, so if it's at least a few millimeters I should be fine. If you have a backplate, it will touch. 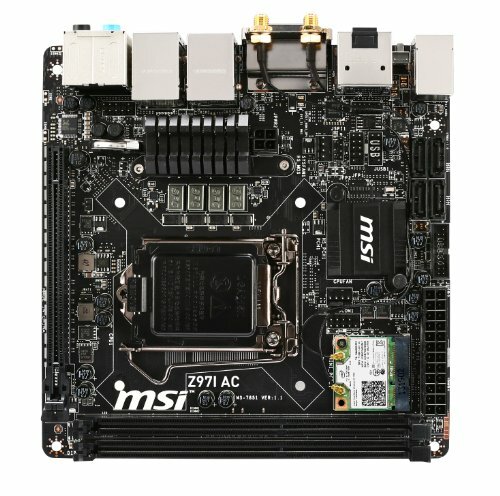 I'm quite sure rotating the 212 evo interferes with the RAM on my mobo. Just a heads up. I've got my components now, except for the CPU. Built everything, and just to try it out I set the cooler on top of the CPU socket (with the protector lid still in place, of course). Doesn't collide with the RAM sticks (I have the same ones as you, same motherboard aswell). I should be able to mount the cooler in any direction, even facing up with the fan right above the GPU backplate (though it'll be a bit tricky getting it in there, might have to take out the GPU temporarily). I'm gonna try out positive air pressure, I've got 5x 140mm fans. Front and rear as intakes, top as exhaust. Hence why I want to have the CPU cooler rotated to push air upwards. Otherwise I'll have it blow air to the rear and use the rear case fan as an exhaust instead. That's good news. I tried to figure it out using a dimension drawing on the CM website but must have made an error. Looks really cool I bet those 140mm fans work better than mine. PSU looks awesome. Also make sure you get the fan hub. Are the 2 top fans exhaust or intake?